People going to a spa retreat for a week of fitness and healthy eating used to dread the tiny portions of tasteless food. 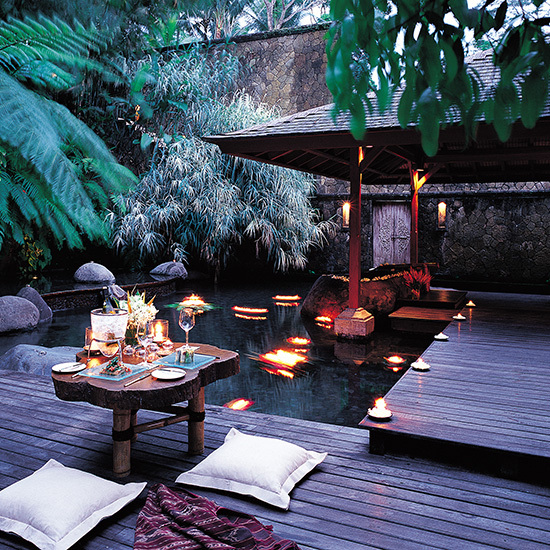 But now delicious meals are part of the destination-spa experience. The Hotel: This is the Hong Kong–based hotel group’s North American debut. Visitors pass through a three-story limestone lobby illuminated with crystal chandeliers before heading to the spa, where they can opt for a private suite with steam showers and fireplaces. The Food: Star chef Jean-Georges Vongerichten expands to Canada with this branch of Market, his seasonal, Asian-inspired restaurant. 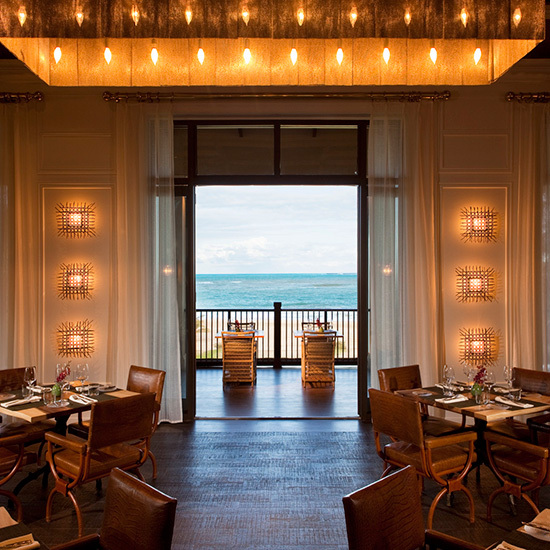 The menu features dishes such as butter-poached lobster with Thai basil risotto and steelhead sashimi. The Hotel: Built in 1899, the hotel underwent a four-year, $427 million expansion and renovation in 2008. The original structure now sits between two gleaming glass-and-steel wings. The sleek spa has Japanese-inspired sunaburos—bathtubs filled with pebbles. 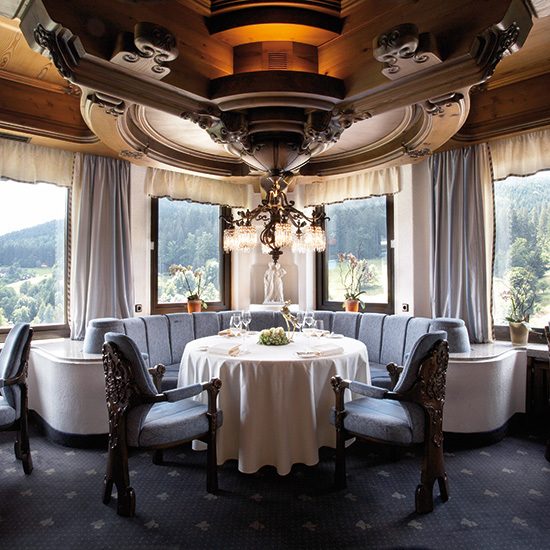 The Food: Chef Heiko Nieder earned two Michelin stars for modern European dishes like line-fished turbot from Brittany, served in a dining room overlooking the Alps and Lake Zurich. 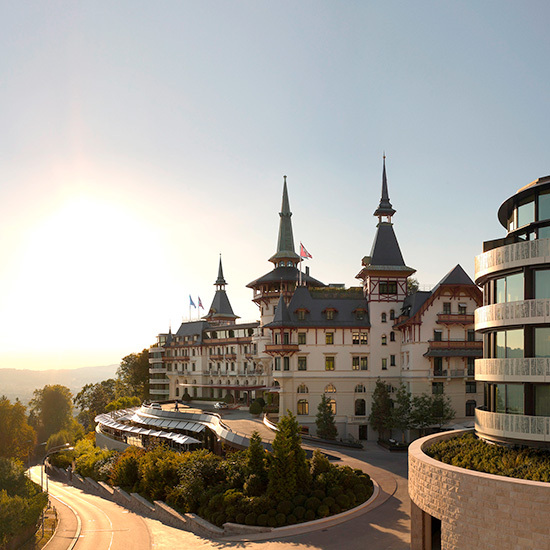 The Hotel: The hotel has 123 rooms and a second-floor spa that focuses on classic treatments. The staff claims (semi-seriously) that a facial with Priori products rivals Botox. 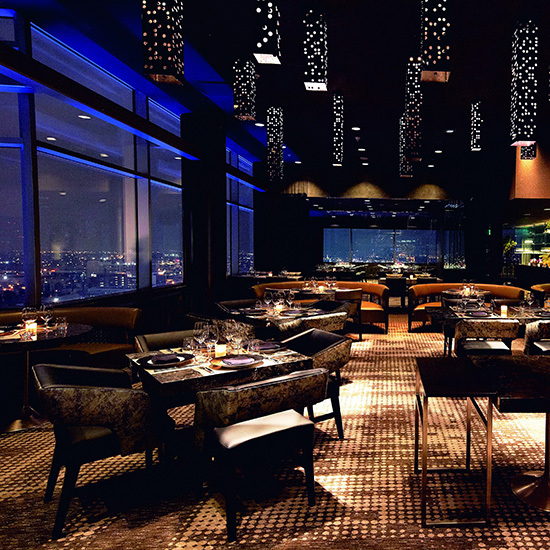 The Food: Wolfgang Puck recently opened the upscale Chinese restaurant WP24 on the 24th floor, with views of the San Gabriel Mountains and downtown skyscrapers. On the menu: pork-and-leek dumplings and crispy suckling pig with apple-quince puree. 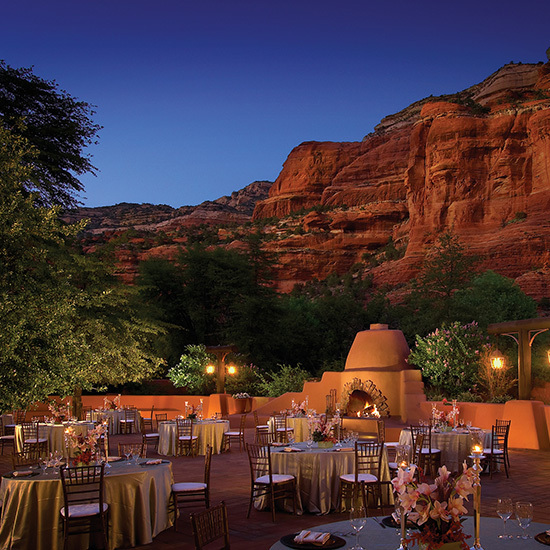 The Spa: Sedona is known for New Age treatments and Mii Amo reflects that by combining traditional fitness activities like hiking and meditation with astrology sessions, aura readings and reflexology. The Food: The café highlights organic produce in blue-corn waffles at breakfast and pecorino gnocchi with cremini mushrooms and peas at night. Wines from producers like Barra of Mendocino are organic too. 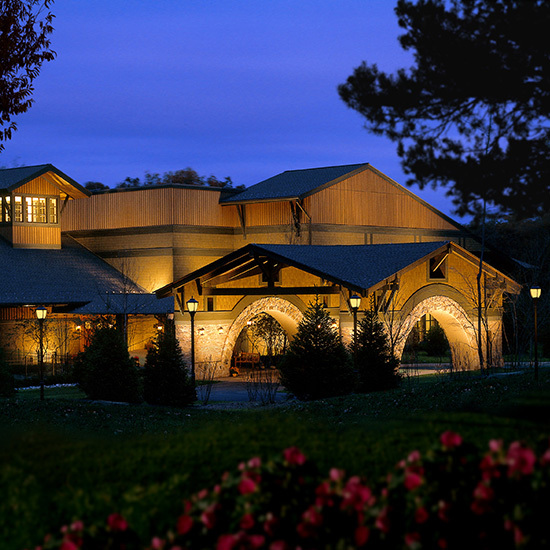 The Spa: This five-year-old Poconos wellness retreat features a sprawling 40,000-square-foot treatment center featuring hydro-massage waterfalls and pristine grounds for hiking, kayaking and Tai Chi. The Food: Tree restaurant takes its name from the oak, maple and birch trees that frame the windowed dining room. The menu emphasizes lean meats such as lamb loin with mushroom risotto and a bison burger with cheddar and balsamic onions. 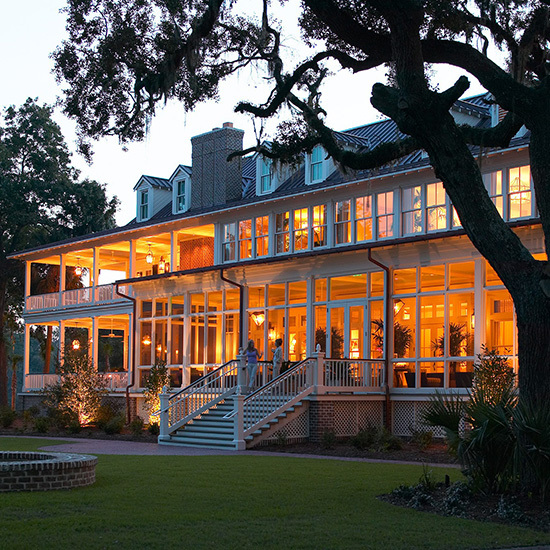 The Inn: Surrounded by moss-covered oak trees, manicured lawns and a freshwater estuary, the Inn preserves elements of its plantation-estate beginnings. There’s a Jack Nicklaus golf course, tennis courts, and spacious cottages with fireplaces and private verandas. The Food: Southern-inspired dishes and cocktails use homegrown ingredients—from a salad topped with Georgia pecans, Carolina peaches and Tupelo honey vinaigrette to the Country Nectar cocktail, combining local rosemary, honey and vodka. The Resort: The Bolders spa offers some of the most diverse treatments in the area such as Watsu, a form of floating massage performed in warm water. 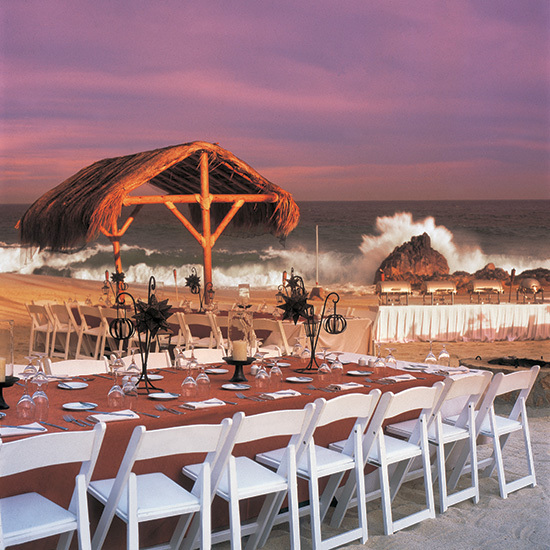 The Food: The Spotted Donkey, el Pedregal, restaurant overlooks 12 million-year-old boulders. On the menu: Southwestern-inspired dishes like chile-rubbed pork tenderloin and Arizona mac and cheese. 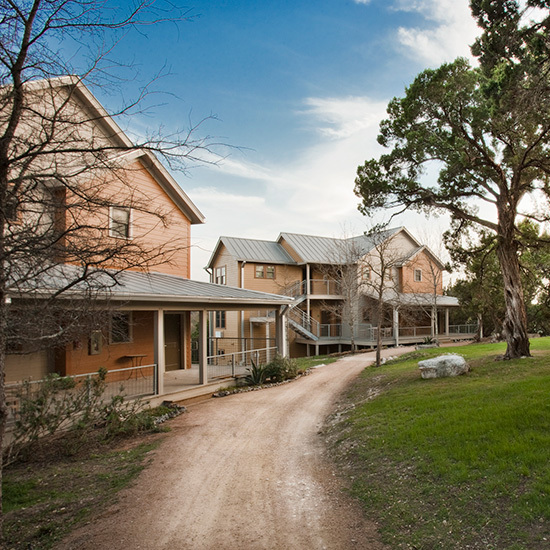 The Spa: This recently renovated destination spa includes 24 Mediterranean-style cottages, a 17,000-square-foot fitness center and a brand-new bathhouse, located on 200 acres of hills covered with wildflowers, oak groves and olive trees. The Food: Combining regional produce, unprocessed grain and lean protein, chef Jason Graham limits three-course meals to a nearly unbelievable 500 calories. Eclectic dinners might include haricots verts and favas in kalamata olive vinaigrette, halibut with fried rice and flourless chocolate cake with peanut butter mousse. The Resort: One&Only resorts spent $80 million overhauling the property, which encompasses a 22,000-square-foot spa and 13 villas surrounded by lush gardens and fountains. 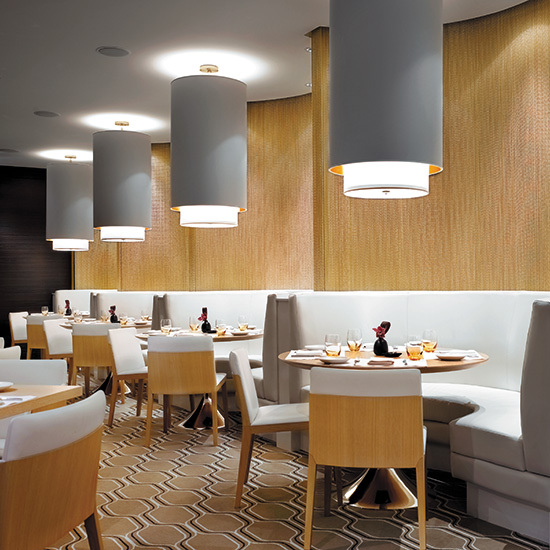 The Food: Jean-Georges Vongerichten operates a location of his Market restaurant here. Plus there’s the more casual Agua, which features French-trained chef Larbi Dahrouch’s refined Mexican dishes such as a grilled veal chop with mole sauce. In addition to a comprehensive tequila list, Agua stocks Mexican wine like Roganto’s fruit-forward Tempranillo. The Resort: With its whitewashed walls, Mediterranean-style villas and bocce courts, the resort references Greece more than the Caribbean. The Food: The restaurant harvests ingredients from an 18,000-square-foot hydroponic farm, organic gardens and orchards. Staff members pick the avocados, tamarind and guavas that flavor Caribbean dishes on Tuesdays, such as johnnycakes and grilled lobster. 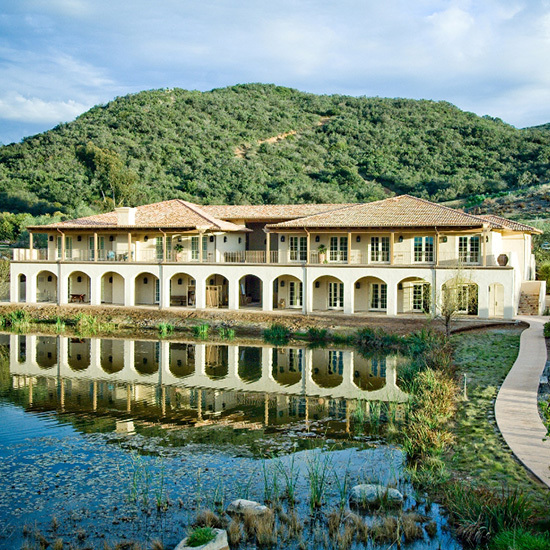 The Spa: The famed spa spans 3,000 acres, with 87 private casitas, meditation gardens and yoga studios. The Food: In a Spanish colonial-style dining room, chef Gonzalo Mendoza promotes Slow Food, the grassroots movement that considers the good of the planet, the growers and the eaters. 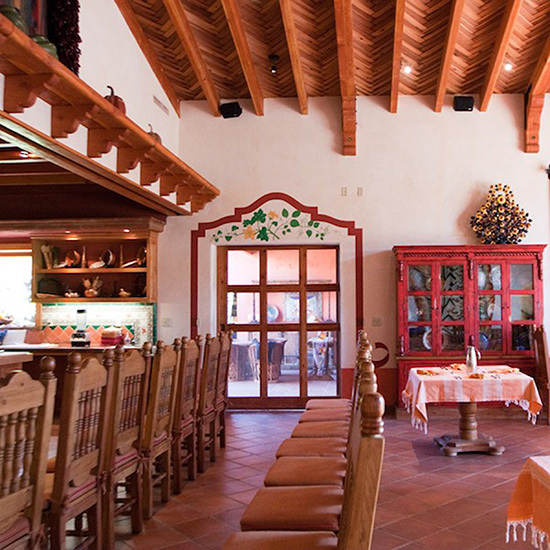 Mendoza uses vegetables from the property’s six-acre organic farm and fresh seafood from nearby Ensenada for Mexican dishes like Tecate-style halibut and chiles rellenos. The Resort: Set on two miles of sandy beach and 483 acres of gardens, this newcomer installed koi ponds around its 10,000-square-foot Remède Spa. Customized treatments use herbs grown on the property. The Food: The menu at Jean-Georges Vongerichten’s first Caribbean outpost incorporates produce grown onsite in Puerto Rican–accented dishes like black pepper octopus with sweet onions and ají dulce. 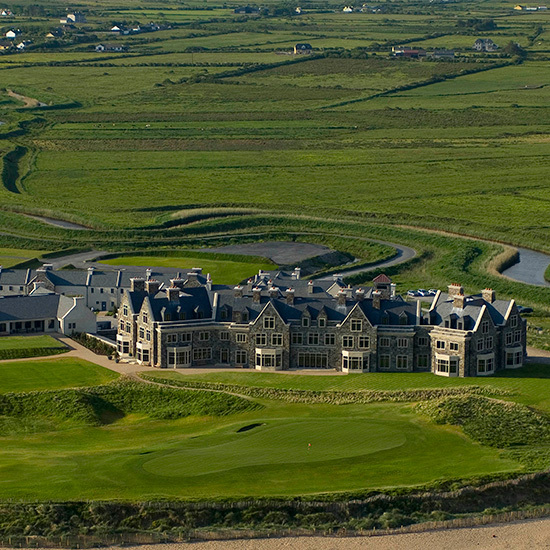 The Resort: This golf resort off the coast of western Ireland has 189 guest rooms, cottages and suites. The subterranean spa offers aura readings and local seaweed wraps. The Food: Celebrity chef Tom Colicchio consulted on menus for Darby’s Bar and the more elegant Long Room, which serves dishes like braised local lamb loin with pan-fried kidney and smoked eggplant caviar. The Resort: The 70-room country house hotel, set on 240 acres of Berkshire parkland, has its own equestrian center and eco-spa. 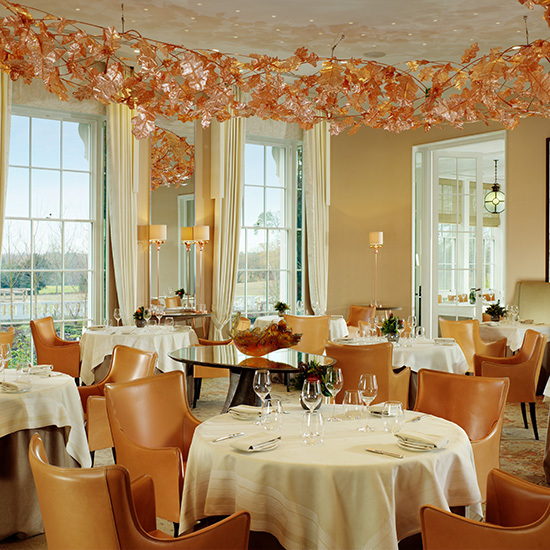 The Food: Restaurant Coworth Park offers a modern take on classical British dishes such as Yorkshire Fettle cheese and Cornish red mullet with basil vinaigrette. The Resort: Lone Star spirit informs every aspect of this new resort, from mechanical bull–riding workouts to massages set to Willie Nelson and Janis Joplin. The Food: San Francisco–native Ben Baker incorporates local flavor in dishes like Texas onion soup topped with Manchego, and a gluten-free flourless chocolate-chipotle cake with peanut butter–mascarpone, made without processed sugar. 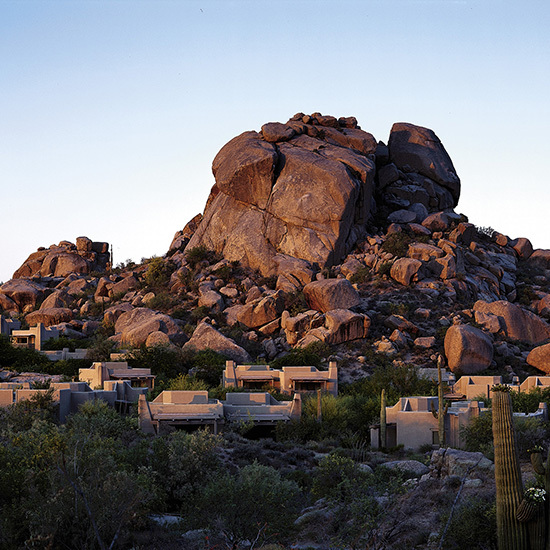 The Resort: Alongside aromatherapy and deep-tissue massages, the spa offers intriguing past-life regression treatments. 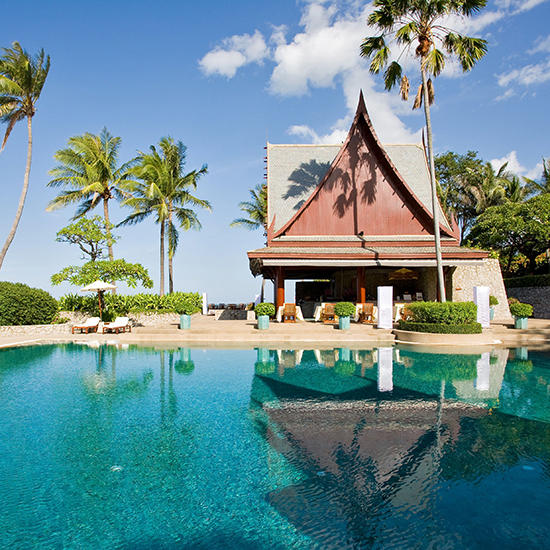 Accommodations overlook the Gulf of Thailand or traditional Thai pavilions. 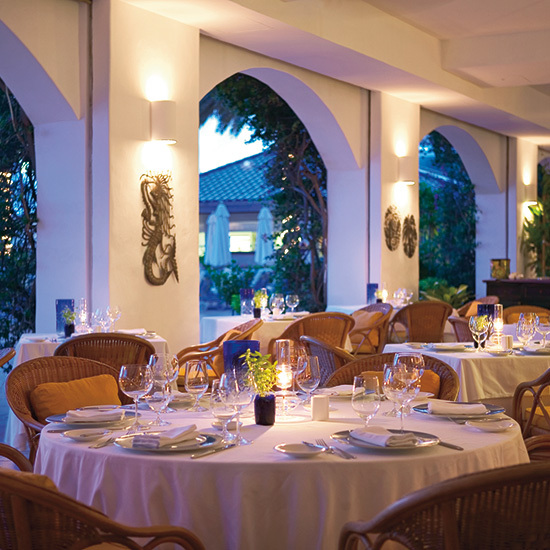 The Food: The resort’s two restaurants, Taste of Siam and the Emerald Room, serve low-fat, low-calorie foods such as chilled cucumber-and-dill soup and a crabmeat and yellow mango salad. The Resort: The ultra luxe property encompasses two islands, three resorts and 21 spa villas with private in-room treatment areas. The Food: There are seven restaurants, four bars and 17,000 bottles of wine—including a Methuselah of 1990 Cristal (equal to eight bottles). 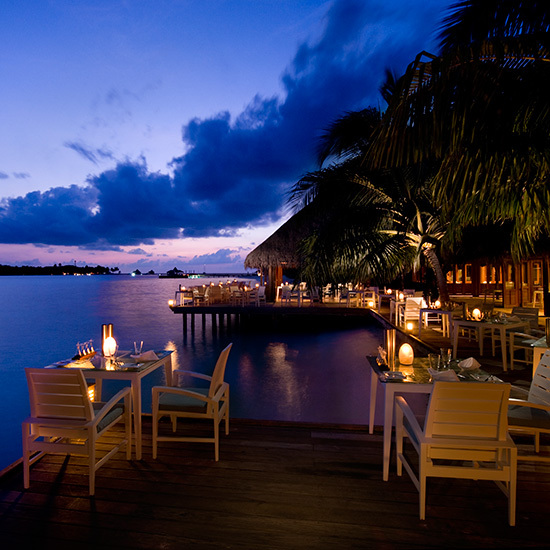 At the glass-encased Ithaa restaurant, guests dine underwater on French-accented dishes like pan-fried foie gras with Thai mango and caramel jus. The Resort: On a private estate in the mountainous jungle of northern Ubud, this private estate employs a staff of healers, life coaches, yogis and nutritionists—but there are more traditional options, like deep tissue massages and purifying facials too. The Food: The dishes at Glow restaurant combine bright flavors, crunchy textures and Balinese ingredients in preparations like king prawns with green mango, crispy garlic and shallot, or almond and chile pad Thai with coconut noodles. The Resort: Owned by one of the region’s leading winemaking families, this Umbrian resort recently unveiled the BellaUve wine therapy spa, offering everything from wine tastings to wine baths. 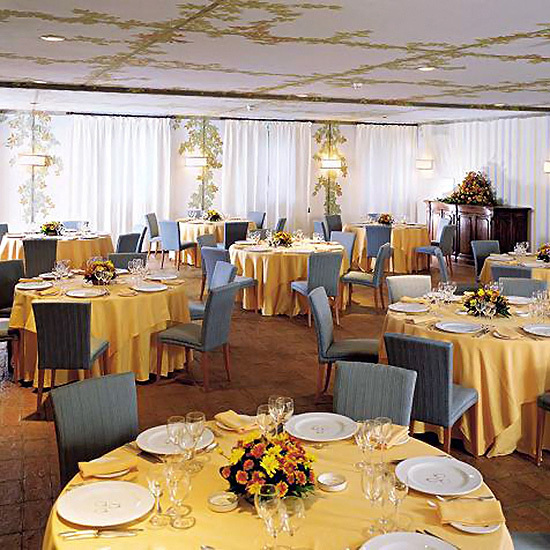 The Food: The menu highlights Umbrian cheese and olive oil in rustic dishes including silky lentil soup and fresh ravioli filled with herbs and ricotta cheese. The Resort: The elegant hotel dates to the 18th century, but the spa offers a modern array of Eastern and Western therapies. Fir trees surround an outdoor saltwater pool. The Food: Chef Harald Wohlfahrt earned three Michelin stars for applying French technique to the earthy flavors of the Black Forest setting—as in venison with juniper berrys, red currants and pear.